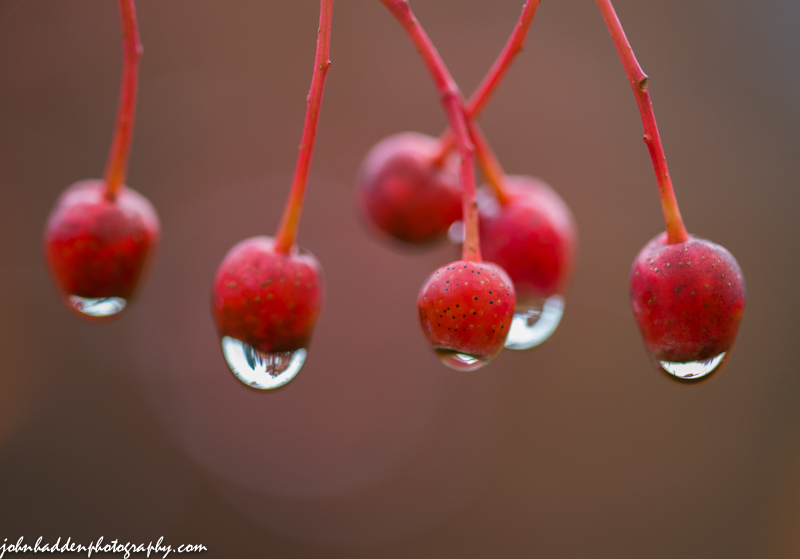 Rain drops cling to Korean mountain ash berries. Nikon D600, Sigma 105mm lens, ISO 1250, f/4.5, 1/640″ exposure. Thanks! I was especially pleased with the nice round bokeh in the background. I think it’s another berry further back. I agree. Love this photo. And thank you too Marcus!